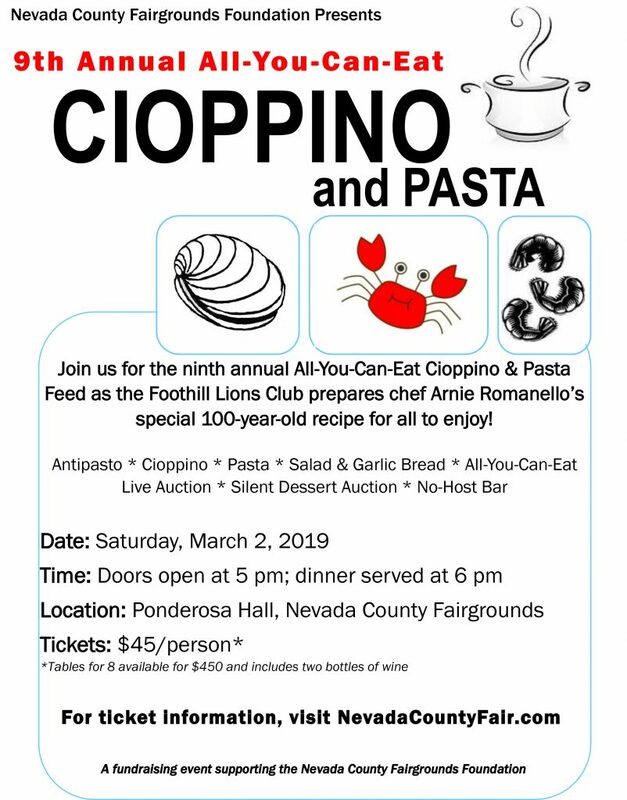 Join the Nevada County Fairgrounds Foundation at its ninth annual All-You-Can-Eat Cioppino and Pasta Feed on Saturday, March 2 in Ponderosa Hall at the Nevada County Fairgrounds. Doors open at 5 pm and dinner service begins at 6 pm. 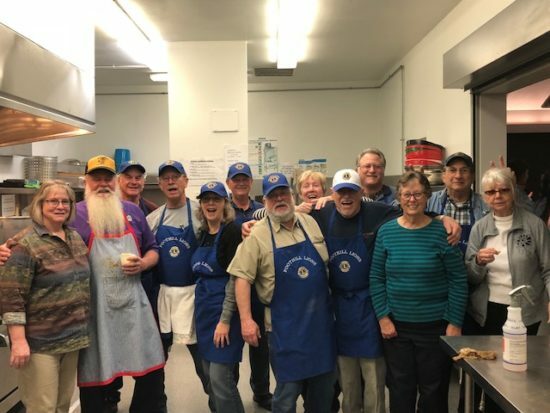 For the event, the Foothill Lions Club will create and serve Arnie Romanello’s special 109-year-old recipe for all to enjoy. 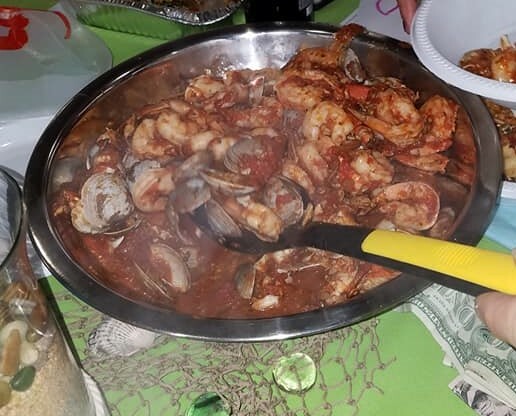 Dinner includes antipasto, all-you-can-eat Cioppino, pasta, salad and garlic bread. A no-host bar will be available, and there will be a silent dessert auction and a live auction. Tickets are $45 per person. If you’d like to purchase a table for 8, it is $450 and includes two bottles of wine. Tickets are available by visiting the Nevada County Fairgrounds, calling the Fair Office at (530) 273-6217, or downloading an order form at NevadaCountyFair.com. 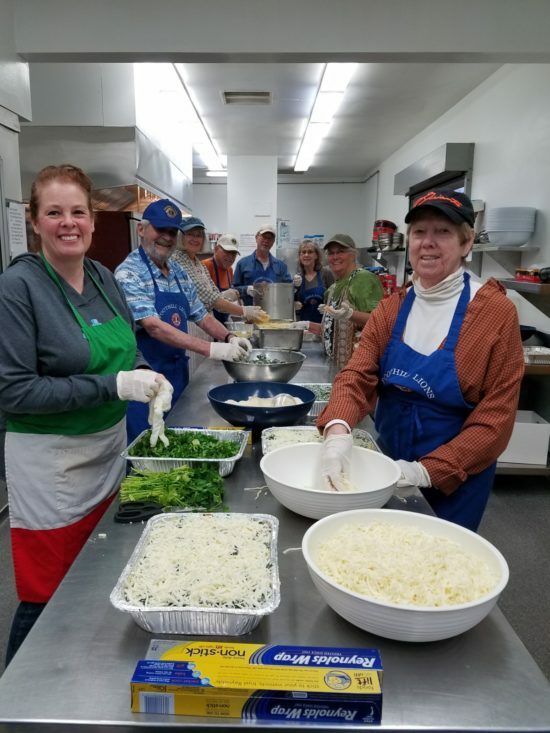 Proceeds from the event will benefit the Nevada County Fairgrounds Foundation and its mission of supporting and improving the community’s Fairgrounds, and supporting youth in agriculture. For more information about the Cioppino Feed or the Foundation, visit NevadaCountyFair.com or call (530) 273-6217.